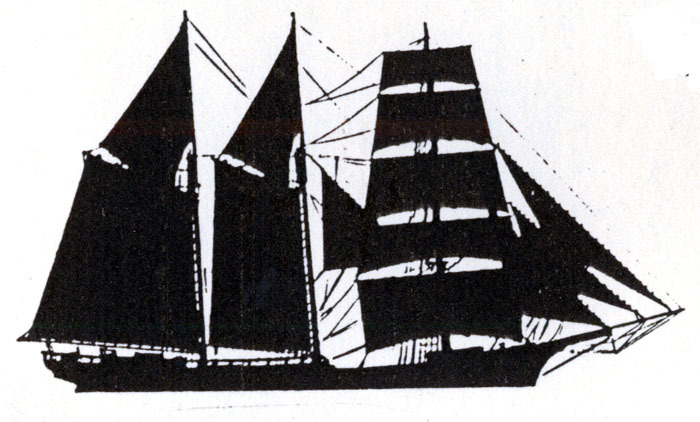 A barkentine has three or more masts with all but the foremost mast fore-and-aft rigged. The fore mast is square-rigged. The diagram is from the Nova Scotia Musuem Info poster, Sailing Ship Rigs.